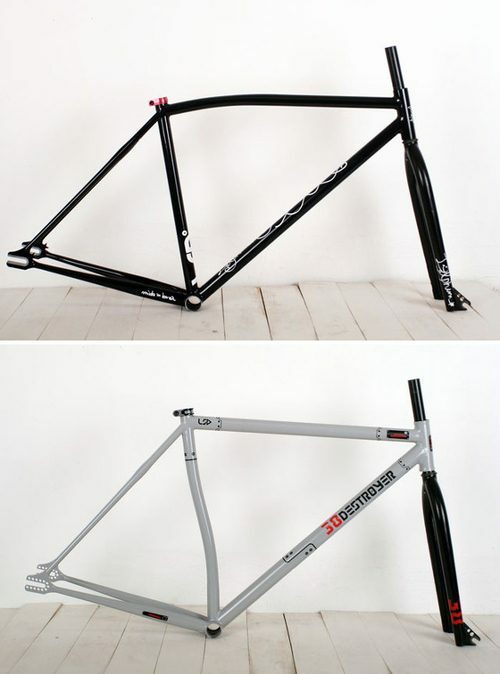 Korea-based LSD Bikes have just announced two new freestyle frames; the Dolphin and the 38Destroyer. If this sounds familiar, it’s because I posted a Dolphin teaser back in February. The Dolphin, pictured above, has a unique bend in the top tube while the 38Destroyer has a bent seat tube, allowing the wheel to be slammed to the bottom bracket shell. Interesting choices in frame language. You can read more on the bikes here. Seen over at Pedal Consumption.